Giving, caring, protecting, advocating, listening – these are some of the words that describe the spirit of the Guardian ad Litem Program. Each day, volunteer child advocates help shape the future and create hope for the children of Florida who have been neglected and abused. Their work with the Guardian ad Litem Program on behalf of children is a pursuit of the heart. Volunteer Child Advocates do not work alone however. Floridians from every walk of life support their work. There are many people in the community who work tirelessly for Florida’s children; their work for children is also a pursuit of the heart. Without these community supporters the work of the Florida Guardian ad Litem Program would be much more difficult. The Guardian ad Litem Program has established the title of Honorary Guardian ad Litem for those select community leaders who have gone to great lengths to support the program’s mission and goals. This page will give you a snapshot of the fine work by these individuals, each of whom deserves our gratitude for the contributions they have made in many areas of child welfare service. We have long considered Senator Aaron Bean an Honorary Guardian ad Litem because he boosts our program everywhere he goes – including the Florida Legislature. But now, on the heels of his being named GAL’s 2018 Legislator of the Year, we’re making it official. The Pro Bono Matters Act of 2018, which encourages attorneys to represent special-needs children by paying the due process costs related to their cases. The Keys to Independence Act, which in 2017 made permanent a pilot program that helps foster children get their drivers licenses. The 2018 Incarcerated Parents Act, aimed at speeding up the time children spend in foster care by helping their parents get the services needed to reunify with them. Senator Bean also helped to fund “Go the Extra Mile,” which reimburses GAL volunteers – many of whom are retired – who travel outside their home counties to continue serving the children they represent in dependency court. And he sponsored a bill that allowed the GAL Foundation to continue into the future. “Senator Bean championed our proposals for not one but two legislative sessions,” said GAL Executive Director Alan Abramowitz. A Republican representing Fernandina Beach, Senator Bean has public service in his blood. His father, Lewis “Red” Bean, was a Fernandina Beach City Commissioner. Senator Bean attended Jacksonville University, where he served as the Student Government President and earned his B.S. in finance in 1989. He was elected to the Fernandina Beach City Commission in 1996, and served through 1999; he was elected Mayor-Commissioner by his fellow commissioners. Senator Bean was first elected to the Florida House of Representatives in 2000, and served there for 8 years. He was then elected to the Florida Senate in 2012, representing the newly-drawn Senate District 4, which includes Nassau County and parts of Duval County. Known for his sunny disposition, Senator Bean is much loved by the GAL staff and volunteers of the Fourth Judicial Circuit, who serve abused, abandoned and neglected children in Clay, Duval and Nassau counties. GAL Circuit Director Vanessa Byerly said Bean’s influence could be felt throughout the area. “He’s helped thousands of children and volunteers,” she said. DCF Secretary Mike Carroll Becomes an Honorary Guardian ad Litem In Recognition of His Commitment to Children’s Best Interests. At a volunteer recognition event in Tallahassee, Department of Children and Families (“DCF”) Secretary Mike Carroll was recognized as an Honorary Guardian ad Litem (“GAL”). The GAL Program represents the best interests of abused, abandoned, and neglected children in dependency court, and often a child’s GAL is the only stable person in his or her life. Honorary GALs are individuals who have gone to great lengths to support the Program’s mission and goals, a qualification Mike Carroll has well exceeded. Alan Abramowitz, Executive Director of the GAL Program said, “It may seem obvious that someone leading the Department of Children and Families would be honored for his work on behalf of children, but Mike Carroll’s title only tells part of the story – his passion for helping children goes far beyond his job.” Many people do not know Carroll served as a foster parent and an adoptive parent. His first-hand understanding of the needs of children in foster care makes him an invaluable partner for the GAL Program, to whom he has provided guidance, support, and advocacy on behalf of individual children. Carroll has established policies allowing DCF employees to become GALs when no direct conflict exists, and has supported legislative initiatives championed by the Program. He has embraced programs to better the lives of children of all ages, from support of early childhood courts, to helping establish the Keys to Independence Program which helps teens overcome barriers to getting driver licenses. “Secretary Carroll inspires all of us to treat every child as if they were our own, doing everything we can to ensure the light that burns inside of them is not diminished or extinguished. His commitment to improving the lives of our kids is authentic and unrelenting,” stated Jane Johnson, long-time guardian ad litem volunteer. Carroll has spent his career helping children and families for over 25 years. When appointed as Secretary in 2014, Carroll made a commitment to work each day so that every Florida child could live in a healthy and safe home. Abramowitz said Carroll’s dedication to children is evident to all who work with him, especially GALs, “The work Mike does is a pursuit of the heart. The children of Florida and GAL Program thank you.” Congratulations to Mike Carroll on becoming an Honorary Guardian ad Litem. Judge Dawson’s dedication to the children and families in Florida is apparent to all who have met him. His work with children and support of the mission of the Guardian ad Litem Program made him a perfect Honorary Guardian ad Litem. 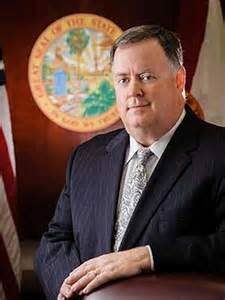 He has worked to better the lives of children through his work on the Florida Bar Juvenile Rules Committee, the DJJ Statewide Advisory Group, the Governor’s Child Abuse Prevention and Permanency Advisory Council and the Federal Advisory Committee on Juvenile Justice – and that is just to name a few. He has always been there when our attorneys or guardians ad litem needed training or support. The GAL Program even has an award given in his name! Thank you Honorary Guardian ad Litem Judge Dawson! A Guardian ad Litem is a very special and dedicated individual. Guardians ad Litem are lead by their hearts, directed by their passion for children, and informed by their life experiences and knowledge of the children they represent. Sheriff Ric Bradshaw and his wife Dorothy embody the dedication and heart we celebrate at the Guardian ad Litem Program. That is why the Guardian ad Litem Program is celebrating them as Honorary Guardians ad Litem. Not only have Dorothy and Ric generously donated to the GAL Foundation through the Police Benevolent Association and created videos supporting the Program, they have been personally touched by the work of a guardian ad litem. They saw first-hand the important work of guardians ad litem when their daughter and her husband adopted a son through the foster care system. Ric and Dorothy’s grandson is a happy and thriving child. Sheriff Ric Bradshaw currently leads the largest law enforcement agency in Palm Beach County. His wife Dorothy is a procurement professional and sits on the Speak Up! For Kids Board. 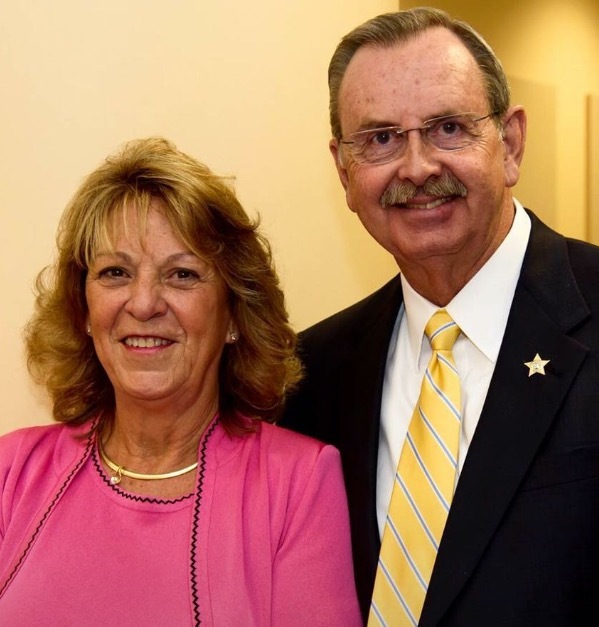 As busy as Sheriff Ric and his wife Dorothy are – they continually keep the Guardian ad Litem Program and the children involved in Florida’s dependency system in their hearts. Thank you to our Honorary Guardians ad Litem – Sheriff Ric and Dorothy Bradshaw. 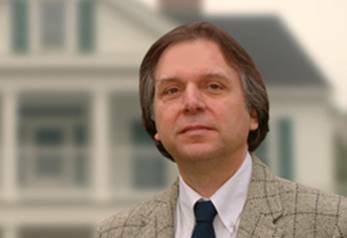 Paolo Annino is a com mitted and determined advocate on behalf of children and families. The Guardian ad Litem Program has turned to him many times over the years to provide guidance, advice and training for our Program Attorneys and staff. His work in the courtroom includes advocacy on behalf of children with disabilities, and he is an expert in the field of education law. He has worked on behalf of children in his work as the co-director of Public Interest Law Center and Director of the Children’s Advocacy Clinic at Florida State University College of Law. We are proud that Paolo Annino is an Honorary Guardian ad Litem as he represents what is possible and what we can aspire to be on behalf of the most vulnerable among us. State Representative Janet Adkins Named Honorary Guardian ad Litem award in recognition of her tireless advocacy in passing the Regis Little Act. Governor Rick Scott signed the Regis Little Act in June and recognized Representative Adkins’ key role in the legislation that will help provide Florida’s young men and women with disabilities the tools to succeed as they transition into adulthood. In addition to the legislation to protect children with disabilities in foster care, Representative Adkins also sponsored the law that got rid of the “R” word. The measure replaced the words “mental retardation” with the term “intellectual disability.” Representative Adkins is a champion for all children, but the GAL Program recognizes her as an Honorary Guardian ad Litem for giving a voice to vulnerable youth as they reach adulthood through her tireless work and advocacy for the Regis Little Act to Protect Children with Special Needs. In recognition of her 60 years of advocacy in service to the community’s citizens who are mentally ill, it is my honor to recognize Daytona Beach resident Elaine Holt as an Honorary Florida Guardian ad Litem Award. Elaine Holt embodies what it means to be a true advocate. Elaine has been the go-to person for advice and direction for leaders in the 7th Circuit. She served on many committees and was always there to solve a problem – no matter how daunting. She is not only an inspiration to many in her community. During her 60 years in Daytona Beach, Elaine Holt has been the leading advocate for a wide array of services for the mentally ill. Elaine worked as head nurse of the secure mental-health ward at Halifax Health Medical Center for 20 years, and since then has been a dedicated and determined advocate for the people of all ages who are experiencing mental illness challenges. Elaine served on the board of the Northeast Florida State Hospital and several other community boards. Throughout her career, Elaine has worked tirelessly to ensure those afflicted with serious mental illness and their families are provided the services they need to live a productive and happy life. Carol is the Executive Director of Healthy Families Florida and is retiring after years of advocacy. Healthy Families Florida is a nationally accredited home visiting program for expectant parents and parents of newborns experiencing stressful life situations. The program improves childhood outcomes and increases family self-sufficiency by empowering parents through education and community support. Parents voluntarily participate in Healthy Families so they can learn how to recognize and respond to their babies’ changing developmental needs, use positive discipline techniques, cope with the day-to-day stress of parenting in healthy ways, and set and achieve short- and long-term goals. Carol’s work is about prevention. She is the face and voice of advocacy to empower families who want to do right by children to have the resources to be successful. Thank you Carol for your advocacy on behalf of children and families throughout Florida. Senator Gal vano, sponsor of the bill giving dependent children with certain disabilities an attorney, has worked tirelessly on behalf of Florida’s abused and neglected children. “Senator Galvano has lead the charge in protecting the vulnerable of the most vulnerable of Florida’s citizens.” Said Alan Abramowitz, Executive Director of the GAL Program. The Senator shares the GAL values of ensuring every child has a voice and children in need of protection have an advocate. Senator Galvano has been a determined supporter of the important work done through the GAL Program and we look forward to working together to ensure safety and permanency for the most vulnerable of Florida’s citizens. Judge Goodin g has embodied the mission and values of the Florida Guardian ad Litem Program throughout his career and continues to be an outspoken, tireless advocate for Florida’s abused and neglected children. His mission throughout his career has been to ensure children’s best interests are achieved in the dependency court system. The GAL Program’s mission is the same. Judge Gooding treats GAL volunteers with respect – making them feel appreciated and valued. He is also known for the extra time and effort he spends with children involved in the Juvenile Justice system. He knows that the decisions he makes will have a lasting effect on the children in his courtroom. Judge David Gooding was elected to the circuit court bench in 2002 and serves as a member of the faculty for the Florida Conference for Circuit Court Judges Education Committee, as well as on a number of charitable organizations. A frequent speaker at educational conferences for judges and lawyers, he specializes in best practices for expediting adoptions. On September 22, 2014 Judge Gooding swore in 26 new GAL volunteers. Then GAL Circuit Director Melinda Brown swore him in as an Honorary Guardian ad Litem. • Mayor’s Victim Assistance Advisory Council Judicial Advocate Award. • United States Department of Health and Human Services Adoption Excellence Award. Thank you Judge Gooding for your leadership, hard work and dedication. 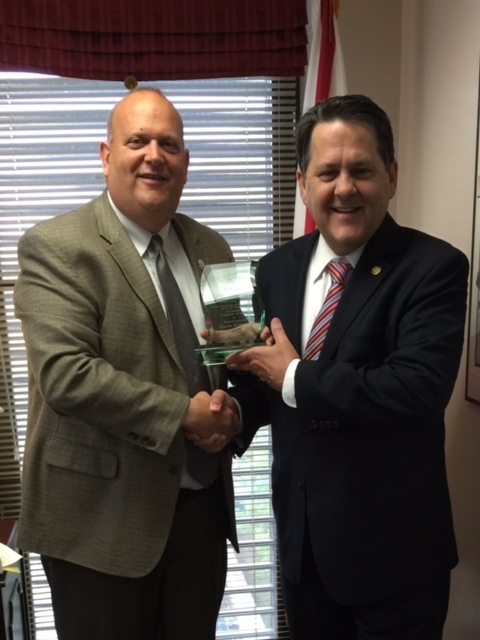 State Representative Charles McBurney of Jacksonville was named by the Statewide Guardian ad Litem Program (GAL) as an Honorary Guardian ad Litem for his commitment to advocacy for abused and neglected children in Florida. In announcing the award, GAL Executive Director, Alan Abramowitz, noted that Representative McBurney has shown his dedication to Florida’s Guardian ad Litem Program through his leadership as chairman of the House Justice Appropriations Subcommittee and Chair of the Budget Conference Committee on Criminal and Civil Justice, where he successfully championed increased funding for the GAL Program during the past two legislative sessions. Representative McBurney has consistently promoted the expansion of the Guardian ad Litem Program as we strive to reach the goal that every one of Florida’s dependent children can have a volunteer advocate. Rep. McBurney is an advocate for expansion of small business opportunities and improving Pre-K – Higher Education. Wansley Walters is a nationally recognized leader in juvenile justice. She pioneered juvenile justice services in Miami-Dade County from 1995 until Governor Rick Scott appointed her to lead the Florida Department of Juvenile Justice (DJJ) in January 2011. During her tenure, Miami-Dade not only had the lowest youth incarceration rate in the state, but also boasted one of Florida’s lowest juvenile crime rates. As head of DJJ, Secretary Walters leads the state agency responsible for serving youth and communities throughout Florida. In October 2012, she launched the Roadmap to System Excellence, a comprehensive initiative to strategically reform juvenile justice in Florida. The Roadmap’s objective is to make sure the right youth receive the right service at the right time, continuing the state’s downward trend in juvenile delinquency. In November 2012 she was a 2012 Juvenile Justice Without Borders International Award presented by the International Juvenile Justice Observatory (IJJO) in London. Her impact on children in dependency has kept many children out of the criminal justice system by passing laws that are supportive of prevention services and civil citation instead of arrest and criminal records. Florida Sen ate President Don Gaetz has made Florida’s children and the Guardian ad item Program a priority from the start. Don Gaetz followed through with his promise to the people of Florida to make children a priority including rewriting Florida’s child welfare statutes and advocating for funding for the Guardian ad Litem Program. He supports the Guardian ad Litem Program throughout the year – swearing in volunteers, attending volunteer appreciation events and advocating for children to have a Guardian ad Litem at their side, giving them a voice in court, at what is most certainly one of the most difficult times imaginable in a child’s life. For his determined work on behalf of Florida’s dependent children and continued support of the Guardian ad Litem Program, we designate Senate President Don Gaetz as an Honorary Guardian ad Litem. Thank you Senator Gaetz. The Gu ardian ad Litem Program presented Representative Matt Gaetz with an Honorary Guardian ad Litem award for his dedication to Florida’s children. Representative Gaetz is a strong child advocate and was essential in the passage of the Keys to Independence Act – a law vitally important to children in foster care. Representative Gaetz is a strong supporter of the Guardian ad Litem Program and we thank him for his collaborative spirit and determination in improving the lives of Florida’s children. Sharon Langer is the development director of Disability Independence Group Inc., a non-profit legal advocacy firm that promotes and protects the legal rights of persons with disabilities. Prior to her position at DIG, Inc., Ms. Langer was the Executive Director of Dade Legal Aid for twenty eight years. She practices primarily in the area of family law and serves on many committees, boards and task forces dealing with issues important to women and children. She served on The Florida Bar Board of Governors for nine years and held many leadership positions including: Legislative Committee Chair, and The Executive Committee. Ms. Langer served as vice-chair of The Florida Bar Children’s Commission and has been an adjunct professor at the University of Miami School of Law. She is one of the founders and current Board Chair of Casa Valentina, Inc. Ms. Langer has received numerous honors for her community service and distinguished career as a tireless advocate for the protection of children, women, victims of domestic violence and other vulnerable populations including “FAWL’s For the Love of Children Award 2005,” “Women Who Make a Difference Award by the Junior League of Miami 2005,” “South Florida’s Unsung Heroes Award by the American Inns of Court (Spellman-Hoeveler Chapter) 2010? and the “Johnnie Ridgely President’s Award by the Dade County Bar Association 2011” – a transitional housing program for foster youth who age out of the system. The GAL Program thanks Ms. Langer for all she does for Florida’s children. The Guardian a d Litem Program presented Attorney Jessica Rae with the Honorary Guardian ad Litem Award at the 2014 Guardian ad Litem Disabilities Training Conference. Jessica has tirelessly represented hundreds of children in dependency proceedings while at Maryland Legal Aid. As Assistant Director for Children’s Rights, Jessica focused on dependency appellate practice and systemic advocacy. Jessica later joined the Baltimore City Department of Social Services and managed the Ready by 21 initiative created to improve outcomes for teens. In 2010, Jessica moved to Florida, where she became a Guardian ad Litem volunteer and later a senior attorney. In 2012, Jessica became the Florida Bar Trial Lawyers Children’s Legal Services Fellow at the Community Law Program where she works with teens aging out of foster care. Her mission to help Florida’s most vulnerable children is an inspiration to us all. Thank you Jessica for all you do for Florida’s children. At the Florida GAL Disabilities Training Conference Attorney Sue Jamieson was made an Honorary Guardian ad Litem for her lifelong work – Sue has worked for three legal services programs during her 40-year career: Jacksonville Area Legal Aid, Legal Services of North Carolina, and Atlanta Legal Aid Society. Since 1980, she has focused on the rights of person in institutions. She is a dedicated legal advocate for the disabled, made history and changed the lives of individuals with disabilities forever when in 1995, she filed a case against the Georgia Department of Human Services on behalf Lois Curtis and the late Elaine Wilson, who both spent the majority of their lives receiving mental support services in state institutions. Even though health care professionals determined that both women would be better off receiving treatment in an integrated community-based setting rather than a state-run institution, the state denied their release. Sue then filed Olmstead v. LC and EW. The Olmstead case, widely described as the Brown v. Board of Education of disability rights cases, established the right of people with mental disabilities to live in the community with proper supports as a civil right. To honor Ms. Jamieson the GAL Program presented her with a painting painted by Lois Curtis – one of the plaintiffs in the Olmstead case. After the Olmstead decision in 1999, Lois began painting and became a folk artist whose artwork has been displayed in venues across the country and is a part of the Kilpatrick Stockton Law Firm collection in Atlanta, GA. In 2011, upon meeting president Obama, Lois presented him with one of her paintings. Sue reminds us all that one person can make a real difference. Senator Nancy Detert was named an Honorary Guardian ad Litem at the Children’s Guardian Fund of Sarasota’s 2013 Fall Luncheon. 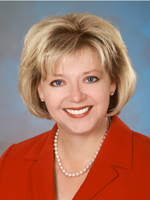 Senator Detert has devoted her career to advancing the well being of foster children and teens. During the 2013 legislative session, she sponsored two successful bills: one which restores normalcy to the lives of youth in foster care, and another (the “Nancy C. Detert Common Sense and Compassion Independent Living Act”) which allows foster teens to remain in foster care until age 21. The Senator sponsored the original bill in Florida which established the Independent Living Program. She also testified before the Ways and Means Committee of the US House of Representatives in May 2013, sharing Florida’s initiatives with a national audience. Detert is known for her love of young people and has spent many hours listening to the personal stories of teens in foster care. Senator Detert continues to advocate for foster youth so they are treated like our own children as she leads the state in advocacy for Florida’s kids. Representativ e Ben Albritton feels that lawmakers should focus on people and with his tireless focus on foster children, this year Rep. Albritton sponsored a bill that will help countless foster children have childhood memories they will cherish forever. The law allows children in foster care to take part in everyday activities—just like their peers. After receiving a recent award for his work, Rep. Albritton said, “These kids deserve normalcy.” “They’re looking for hope.” He also said to the Guardian ad Litem volunteers “I love you and appreciate you.” The appreciation is mutual— the foster care children in Florida thank you Representative Albritton—our newest Honorary Guardian ad Litem. Tampa Bay Rays first baseman James Loney and his wife Nadia were named Honorary Guardians ad Litem during pre-game festivities on Wednesday, July 11 at Tropicana Field, where the Rays hosted Guardian ad Litem Night. The announcement honoring Loney was made by Alan Abramowitz, Executive Director, before he and Justin threw out the first pitch in the game against the Minnesota Twins. Loney and his wife are featured in new public service announcements to recruit volunteer Guardians for the Program in the St. Petersburg and Tampa Bay areas. Loney is making news this season, with an April batting average of .373. In early July, Loney boasted a 15-game hitting streak, which tied his career high. 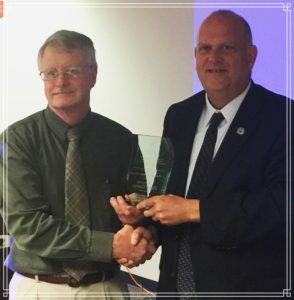 Representative Keith Perry of G ainesville became an Honorary Guardian ad Litem when he was presented with the award by Executive Director Alan Abramowitz at a GAL event on June 6, 2013. Perry was the House sponsor of the 2013 landmark legislation on Independent Living, which extended the opportunity for foster youth to remain in care until age 21. Together, he and Senator Nancy Detert advocated tirelessly for normalcy for foster youth and for strengthening services to youth aging out of care. Representative Perry has a long history of support for human services issues and programs. He currently serves on the Board of Directors of the Salvation Army and is a Habitat for Humanity volunteer. Perry formerly served as a Board Member for Boys and Girls Clubs. State Senator R ob Bradley is a champion for children. Senator Bradley has shown his commitment to Florida’s children through the work he has done as chairman of the Senate’s Appropriations Subcommittee on Criminal and Civil Justice which funds court services. Even though Senator Bradley is a freshman senator, he was appointed to chair this committee – a very important role as the committee determines funding for the courts, as well as the Guardian ad Litem Program, Clerks, conflict attorneys and many others. Senator Bradley consistently advocates for funding to provide a Guardian ad Litem volunteer to every one of Florida’s dependent children. He has pledged to work with the Guardian ad Litem Program in the coming years to advocate for increased funding to allow every dependent child to have a Guardian ad Litem volunteer. This year his work was crucial to a significant increase in funding for the Guardian ad Litem Program. He was also able to shift funding to prevention services in the Department of Juvenile Justice and Department of Corrections. His dedication and continued support will help the GAL Program reach all of Florida’s dependent children and create a better future for thousands of Florida’s children. Recently, when he was honored with the award of “Honorary Guardian ad Litem” he said, “The real heroes … [are] the guardian volunteers … Their advocacy for these children truly changes lives.” He is right, and that is why Senator Bradley is an Honorary Guardian ad Litem- he is changing lives. Tanya Wilkins, RN, BSN, wife of Department of Children and Families Secretary David Wilkins, began her career as an advocate long before her husband came to DCF. She and her husband mentored foster children and provided leadership at the Florida Baptist Children’s Home in Tallahassee. Since becoming the first lady of DCF, she was named by Governor Rick Scott as Florida’s Volunteer Advocate for Foster Care and Adoption, within the Governor‘s Office of Adoption and Child Protection. Mrs. Wilkins leads the Fostering Florida‘s Future Workgroup, whose goal is to recruit 1,200 new foster parents, retain current foster parents, and celebrate all of Florida‘s foster parents. In that capacity, Mrs. Wilkins played a strong role in advocating for passage of the Quality Parenting for Children in Foster Care Act (the normalcy bill) that passed the Legislature unanimously this year and was signed into law on April 11. Mrs. Wilkins was a featured speaker at the annual Guardian ad Litem Day reception on April 4, 2013. At that time, she was presented with the first “Honorary Guardian ad Litem” award by Alan Abramowitz, Executive Director.